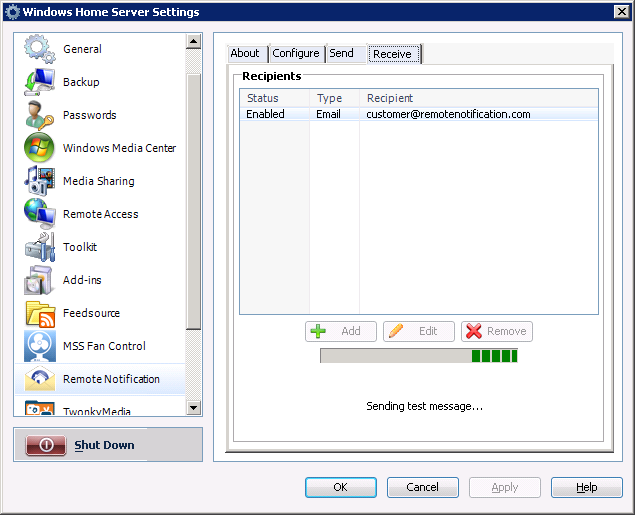 The Email recipient type is used to forward the health alerts from your Windows Home Server to an email address. For a complete description of all recipient types, see this help topic. Important: Before you add an Email recipient, be sure you have configured the SMTP Settings so that Remote Notification is able to send emails from your Home Server. 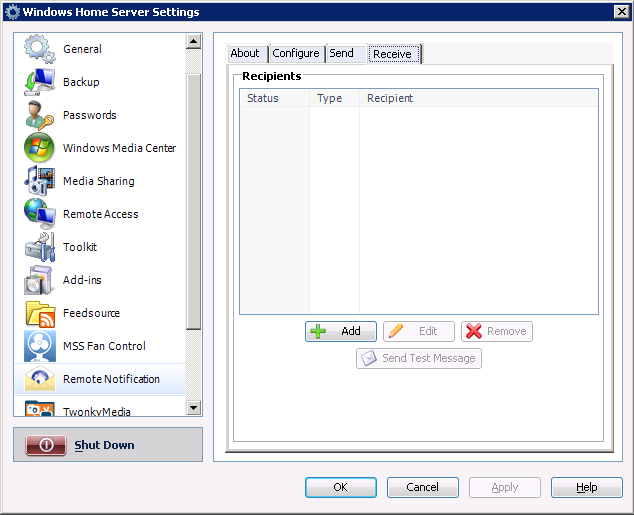 Open the Windows Home Server console, and navigate to the Remote Notification Settings tab. On the Receive tab, click the “Add” button. 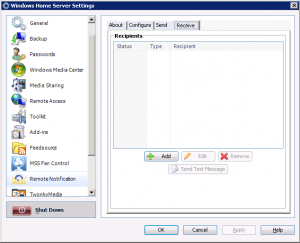 Enter your email address into the Username and Hostname fields of the Add Recipient dialog. Next, select “Email” as the Recipient Type. Choose the severity of notifications that you want to receive at that email address, and choose whether you want to receive suppressed notifications. 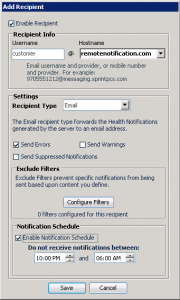 Configure any exclude filters to prevent messages being sent when a notification contains specific text. 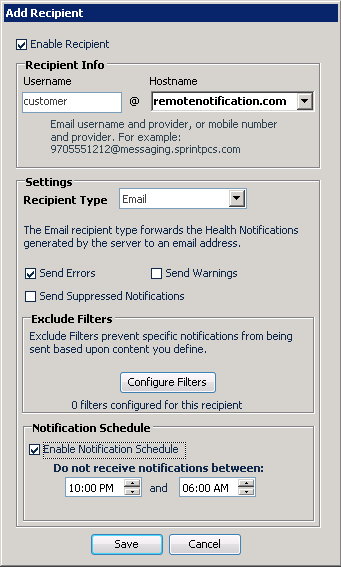 Configure the Notification Schedule if you wish to not receive notifications during a certain time of the day. Save your recipient, and send a test message to make sure the configuration is correct.